Deal is for $400 million in cash, and $1.6 billion in Facebook stock. Update 4: This is speculation, without a doubt, but maybe, just maybe, this tweet is referring to some VR-related trick Razer has up its sleeve. Notch certainly seems excited (see replies). "I have the greatest respect for the talented engineers and developers at Oculus. It's been a long time since I met a more dedicated and talented group of people. 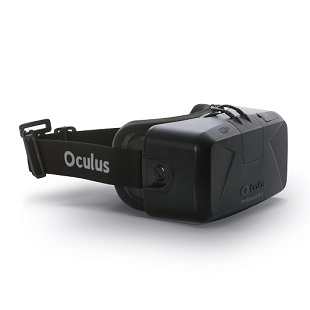 I understand this is purely a business deal, and I'd like to congratulate both Facebook and the Oculus owners. But this is where we part ways." "In the end, I kept coming back to a question we always ask ourselves every day at Oculus: what's best for the future of virtual reality? Partnering with Mark and the Facebook team is a unique and powerful opportunity. The partnership accelerates our vision, allows us to execute on some of our most creative ideas and take risks that were otherwise impossible. Most importantly, it means a better Oculus Rift with fewer compromises even faster than we anticipated." Update: In light of Facebook's Oculus acquisition, Mojang's Markus "notch" Persson has announced that his company is no longer pursuing Minecraft for the Oculus Rift. "We were in talks about maybe bringing a version of Minecraft to Oculus," said Persson on Twitter. "I just cancelled that deal. Facebook creeps me out." That's one major title out of the Oculus ecosystem. We'll keep you posted if other devs and publishers follow suit. Original Story: Facebook just surprised the bejesus out of everyone by announcing its pending acquisition of Oculus VR, the company behind the Oculus Rift VR headset. The deal is for $2 billion, but that could climb to $2.3 billion if certain milestones are hit. $400 million in cash, and $1.6 billion in Facebook stock (about 23.1 million shares) are in the deal, while another $300 million in cash will be paid out for milestone achievement. Despite the acquisition, nothing changes for Oculus at the moment. It's HQ will remain in Irvine, CA, and work on its Development Kit 2, and the eventual retail release of the Rift, will continue on schedule for now. In a post to Facebook, Zuckerberg says his company will help Oculus initially with content partnerships -- getting games on software working on the hardware. "But this is just the start. After games, we're going to make Oculus a platform for many other experiences," said Zuckerberg. "Imagine enjoying a court side seat at a game, studying in a classroom of students and teachers all over the world or consulting with a doctor face-to-face -- just by putting on goggles in your home." You can read the press release in it's entirety here.